I don't know why my husband and me just love QQ desserts. 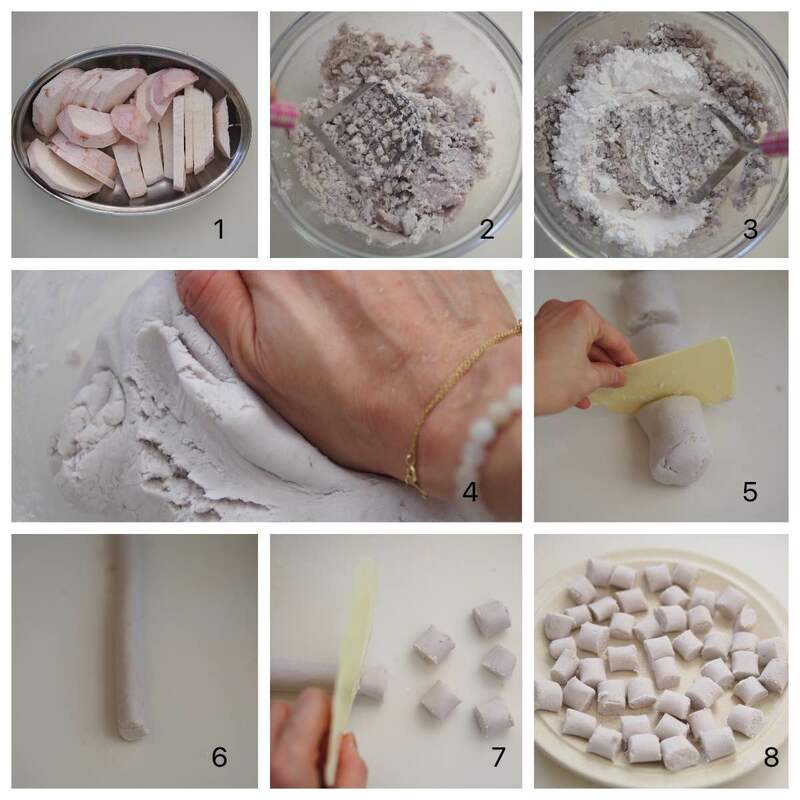 After making the Yam Abacus Seeds, I discovered that the recipe is quite similar to recipes for Taro Balls. I bought some Tapioca Pearls from my Taipei trip recently and I thought it would be a perfect way to use them. So, I used the knowledge I gained to prepare this Taiwanese Taro Balls Dessert. I am very happy that the taste is quite authentic, like the desserts we had in Taipei! 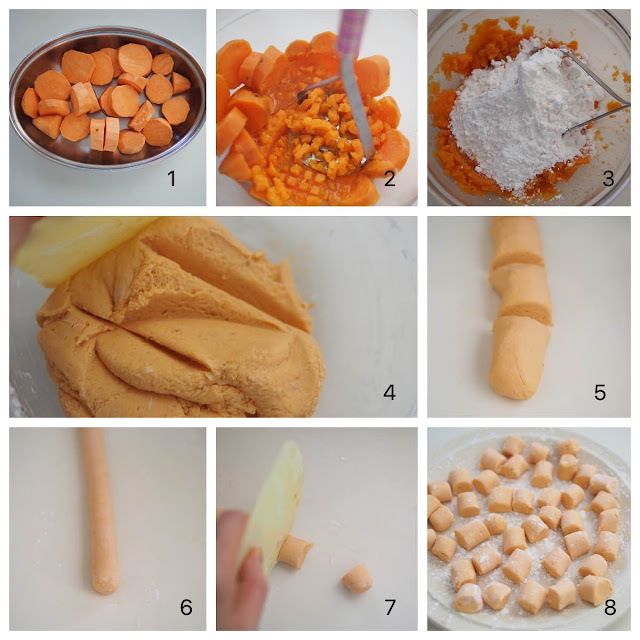 This dessert consists of many components and may take some time and effort to prepare but if you like desserts like this it will be worth it. You may simplify it by just preparing the Taro and Sweet Potato Balls served in ginger soup. Steam pieces of yam and sweet potato separately for 20 mins or until soft. Immediately transfer steamed yam to a mixing bowl and mash with a hand masher until mashed. Add in 125g tapioca starch while the yam still hot. Mix with a spatula or spoon until incorporated. Pour 1 tablespoon of boiling water at a time if the dough is too dry. When the dough is cool enough to handle, transfer dough into the counter top and knead with hand for 1 to 2 minutes. Cut the dough into 4 portions. Roll each portion into a long log. Cut the log into small pieces at your desired size. Do the same to steamed sweet potato. To serve, scoop the ginger soup in a serving bowl. 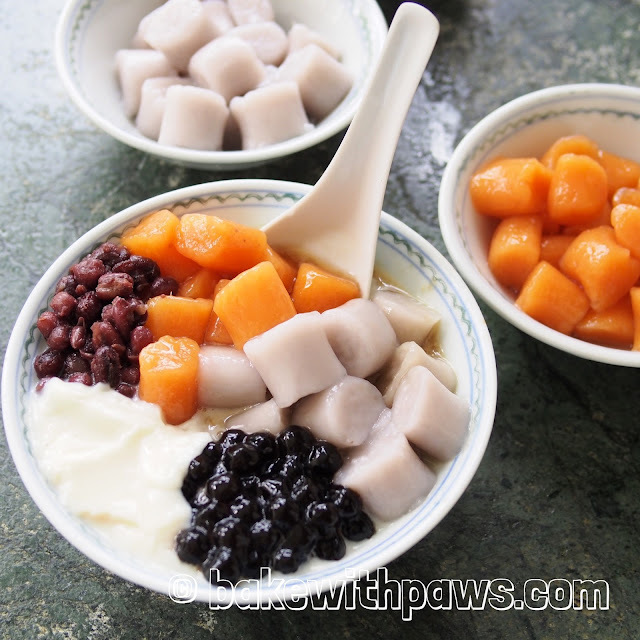 Add in taro balls, potato balls, sweet red beans, tapioca pearls and soy milk pudding. Bring a pot of water to boil, then drop in the taro balls. Boil until the pieces rise to the surface, scoop out and throw into ice water to stop the cooking. 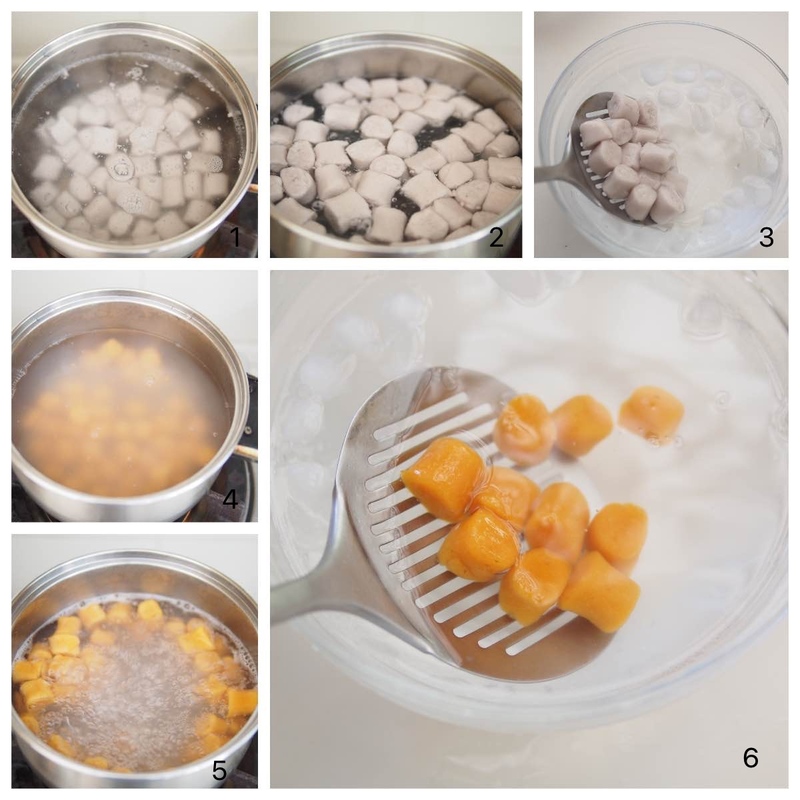 Boil the sweet potato balls separately as above. 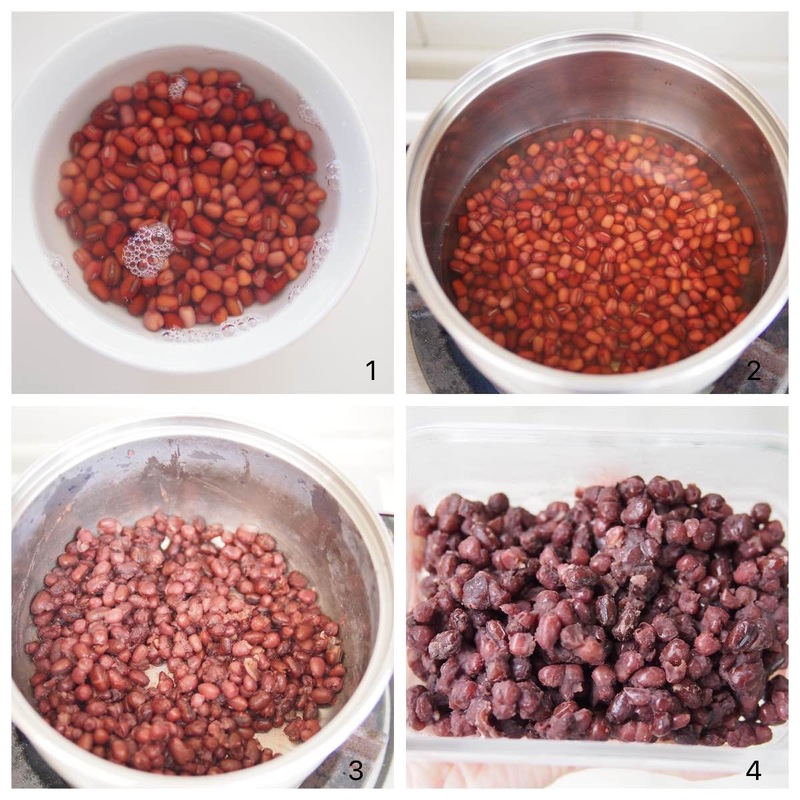 Soak the red bean with enough water one night before or at least 3 hours. In a pot, add in red bean, sugar and water. Bring to boil at medium high heat. 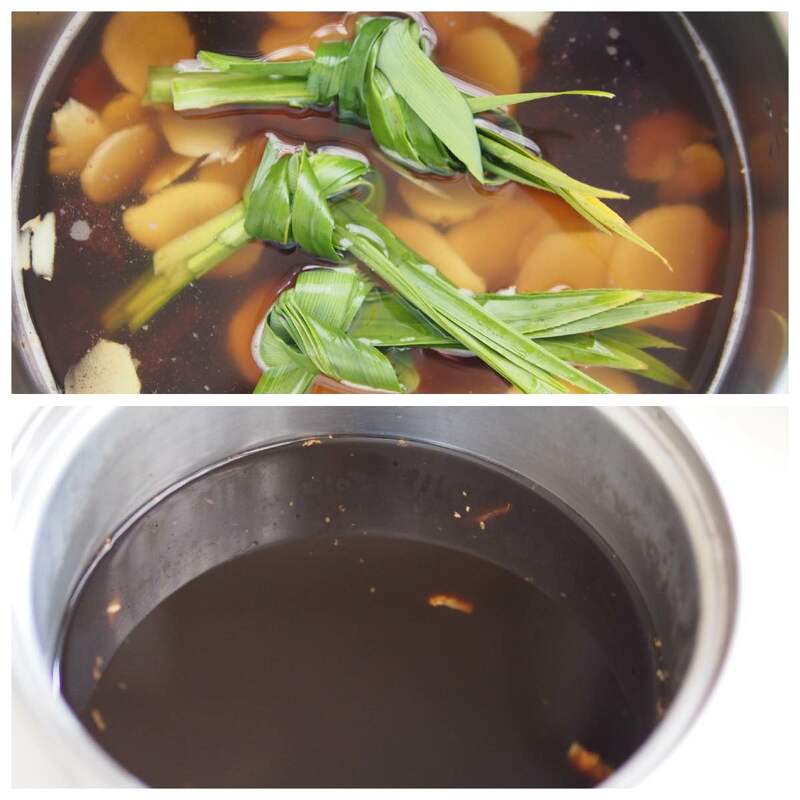 Reduce to low heat and simmer until red bean is cooked and soft. It takes around 30 minutes or more. Bring a pot of water to boil at high heat. 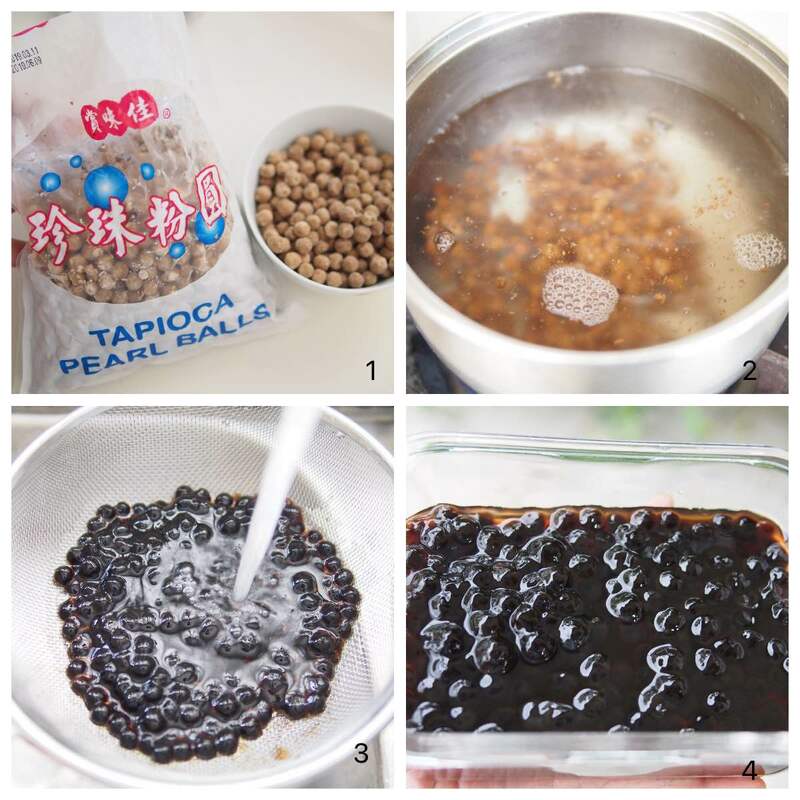 Add in tapioca pearls, reduce to low heat and simmer for 10 - 15 minutes. Off the heat and let the pearl sit for 2 minutes with lid on. Wash and strain the pearls with runny tap water. Please click here for Soy Milk Pudding recipe. Add gula melaka, ginger slices, water and pandan leaves into a pot. Bring to boil at medium high heat. Reduce to low heat and simmer for 10 minutes. Hi. can the taro and sweet potato balls been prepared a day earlier and kept in fridge and boil the next day? Thank you for asking. It should be ok as long as it is hot when you mix in the tapioca flour.